The holidays are among us. It’s time to break out the feast, scaled down to fit between two pieces of bread. This is a wonderful combination, too. All the parts mix together better than red and green. The thick, soft bread is covered in mayonnaise, which provides a smooth base for the rest of the flavors. 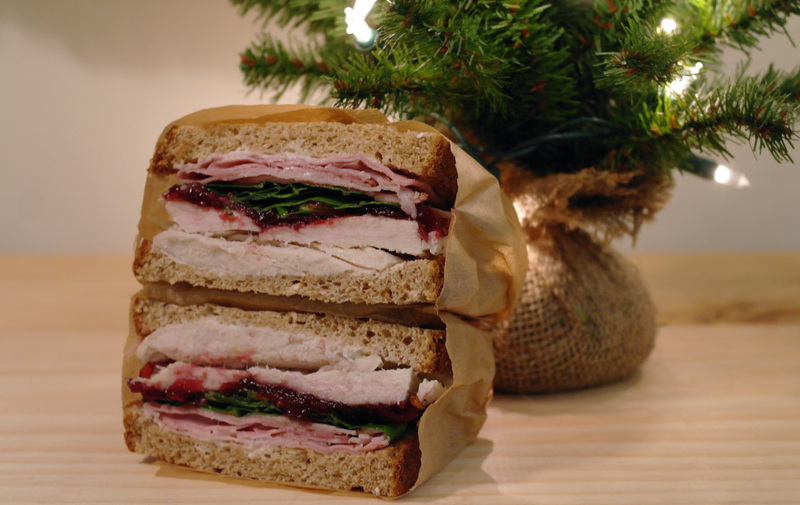 The savory turkey is contrasted by the salty smoked ham; the bitter spinach is calmed by the cranberry sauce. When it all takes place within your mouth, you’ll be filled with a sense of joy like only the holiday season brings. Enjoy these moments, for they tend to come only once a year. Be with the ones you love and share a bite.